A great maintenance planner training solution for those who can not make it to a Maintenance Planning and Scheduling Seminar. 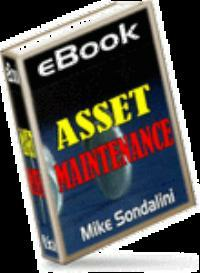 Download the entire 3 day PPT Powerpoint and management workbook to learn all about planning maintenance. The 229 slide presentation is separated into 3 Management PPTs, and has a story line that hopefully will entertain you as the Power Point teaches you. The PowerPoint slides are made into a story of how Ted he’s imaginary is learning to become a 'Top-Gun' Maintenance Planner and Scheduler. The content of this Maintenance Planning and Scheduling Training course is exactly what you would get if you attended the actual 3-day seminar PPT, Maintenance Planning and Scheduling Training Course. This management course is unique because it is tailored from 30 years of real-life experience as a tradesman, professional engineer and a Maintenance Manager. Ted’s story follows the content of the Maintenance Planning and Scheduling Training Course. Day 1, PPT-1, introduces people to the big issues of the plant and the equipment's, maintenance and reliability. It covers the foundations of maintenance planning and scheduling so you can see the important role that it plays in keeping an operation running at full capacity and efficiency. Day 2, PPT-2 is all about planning maintenance. You will be introduced to its necessary systems, methods and practices. Day 3, PPT-3 includes working with the backlog and scheduling maintenance work so it is completed in the quickest time with the least amount of downtime and minimum interruption to production. Throughout the course you will complete activities from the accompanying management Workbook that provides you with an opportunity to learn and discuss numerous issues and perspectives to do with Maintenance Planning and Scheduling. 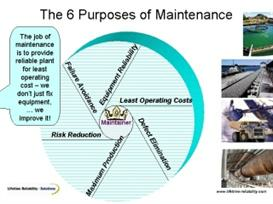 The role of Maintenance Planning in business and its foundation basics. All about planning maintenance systems, methods and practices. Working with the backlog and scheduling maintenance work. Free Trainee Assessment and Achievement Certificate offer at end of workbook. Price: US$49.95 3 PowerPoints for a total of 229 slides, plus a 41 page workbook!